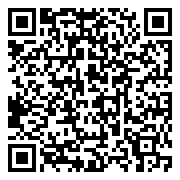 or anyone wishing to work on Forestry Commission land or rural contracts. Our Emergency First Aid at Work forestry +F (EFAW+F) has been developed to comply with Forestry Commission first aid policy and the HSE guide on first aid and emergency procedures in tree work. 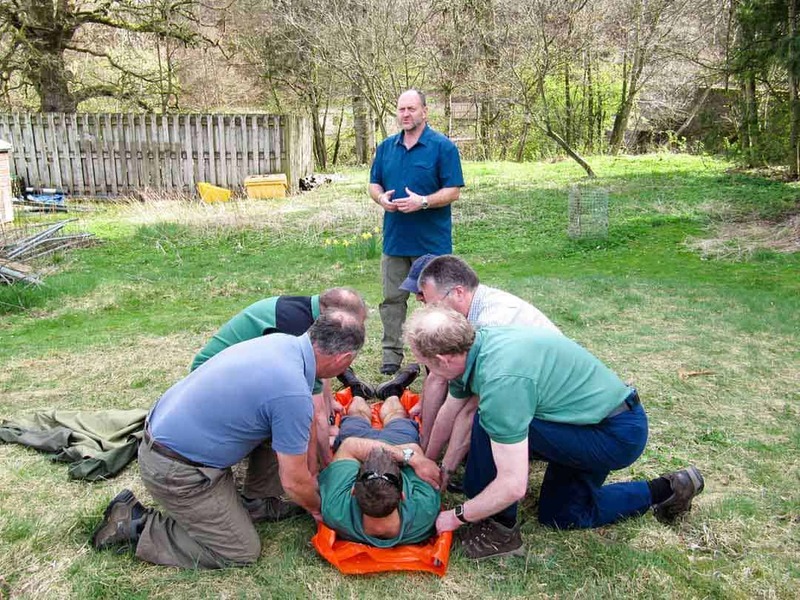 Over many years we have refined our course Emergency first aid at work forestry +F (Efaw+F) courses with the help of some major players in the industry including Scottish Woodlands, RST and the forestry commission. As a UK FISA member and the preferred provider for the Forestry Commission and Scottish Woodlands, we understand your working environment. Our Emergency first aid at work forestry +F (Efaw+F) courses offer practical training and advice outside of the classroom and tailored to your own working environment and have been designed with the help of organizations in the industry to comply with the Forestry Commissions first aid policy. As a member of the Forest Industry Safety Accord UK Fisa, we keep up to date with health and safety in your sector of industry and continually update our Emergency Forestry First Aid at Work +F (Efaw+F) courses to reflect the most common and up to date near misses and incidents in the sector. Tailored Emergency Forestry First Aid at Work +F Courses (EFAW +F ) delivered by full-time outdoor professionals that work in the same outdoor environment as your staff, Our trainers have a real life on the job experience of working in remote environments with casualties and hopefully bring this across during the training. 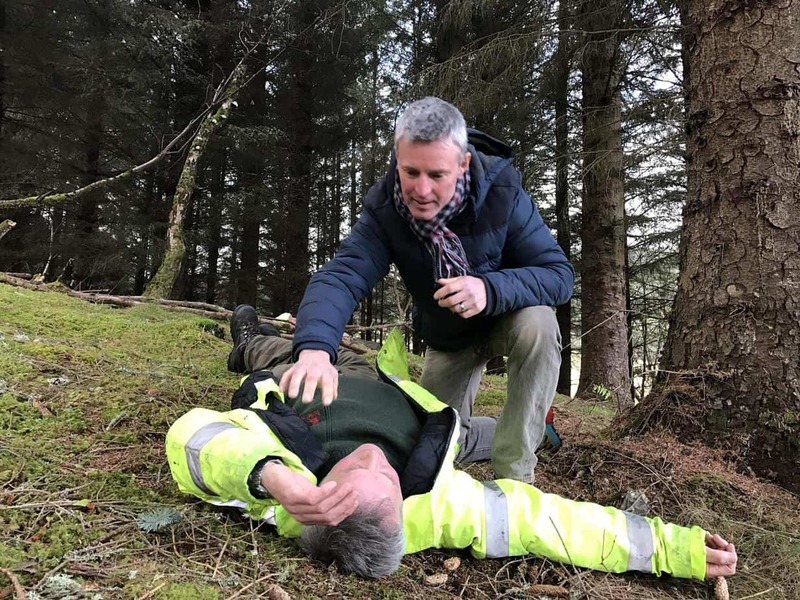 Our Emergency Forestry First Aid at Work forestry +F Efaw +f courses are more about practical advice with casualty management processing from hypothermia, contacting the correct emergency service and the use of Spot messengers and other communication devises. 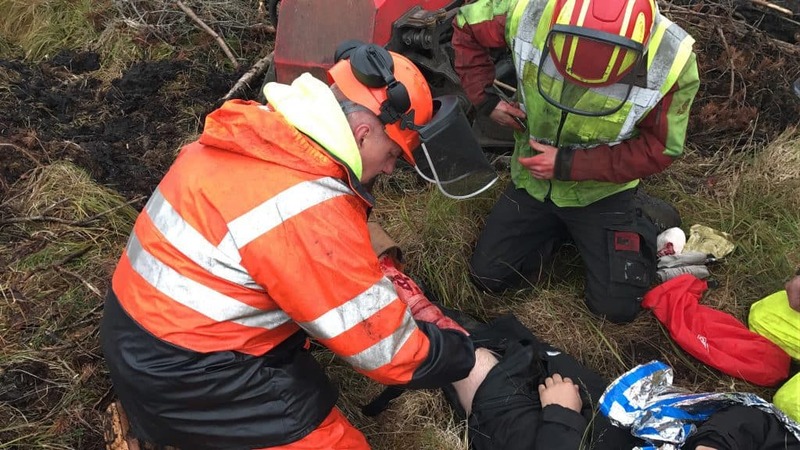 Emergency first aid at work forestry +F ( Efaw+F) courses is the minimum requirement for Forestry, Renewable, Construction, Utility companies and a Stalkers working on Forestry Commission Land or in remote and hazardous environments. We are fully committed to making the forestry industry a safer environment to work within and course content is relevant useful and delivered by people who understand your own environment. Why not call today to discuss your own Emergency first aid at work forestry +F (Efaw+F) course that can be tailored to your own working environment or staff needs. The EFAW+F Fort William ticket is sold out. You can try another ticket or another date.